Anthonia Edgren joined the Office of the Vice President for Student Affairs in early 2018 as its Director of Development. She is responsible for all donor-related activities and services within the division, including the development of fundraising strategies, prospective donor identification, and growing private support to meets the goals of both Students Affairs and the university. In addition, Anthonia is responsible for managing the division’s donor stewardship program. 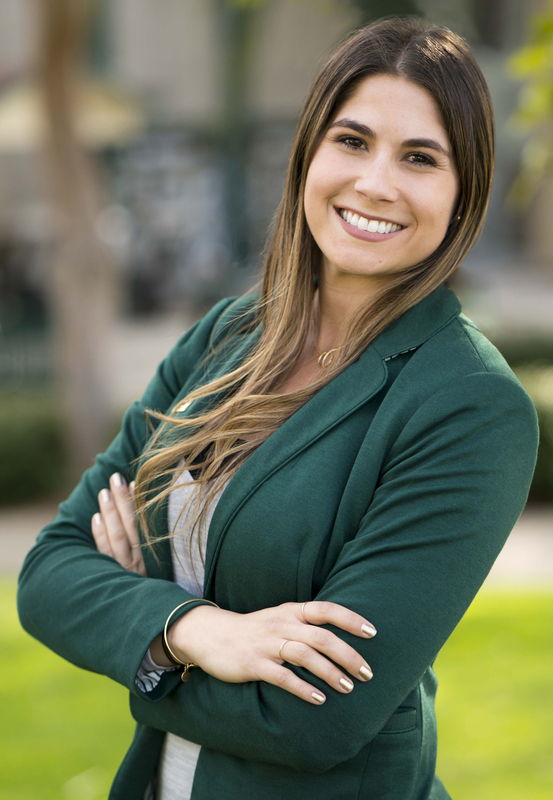 Prior to her current position, Anthonia served in a variety of roles at Cal Poly since 2013. She first joined the university as a Conference Center Office Coordinator and transitioned in 2015 to serve as the Coordinator for Parent and Family Programs in Student Affairs. In 2016, she was promoted to Lead Specialist for Parent & Family Programs and Commencement. Anthonia has also served as a part-time lecturer for Cal Poly’s Experience Industry Management Department since 2017. A San Diego native, Anthonia earned both her Bachelor of Science and Masters of Arts in Education degrees at Cal Poly. She is an active member in several professional organizations, including the Association of Higher Education Parent and Family Programs. Anthonia lives in San Luis Obispo and enjoys local music, playing tennis and beach volleyball, hiking and backpacking, planning local events and weddings, cooking, and spending time with her border collie, Heidi. Dr. Kevin Grant joined Cal Poly in July of 2017 as Director of Assessment and Research for Student Affairs. Kevin heads the division-wide assessment and research practices to measure the effectiveness of strategic initiatives within Student Affairs, including co-curricular learning, student outcomes and student engagement as they relate to student success at Cal Poly. Kevin has nearly 15 years of experience in higher education and specializes in assessment, strategic planning, program development, and academic student support. 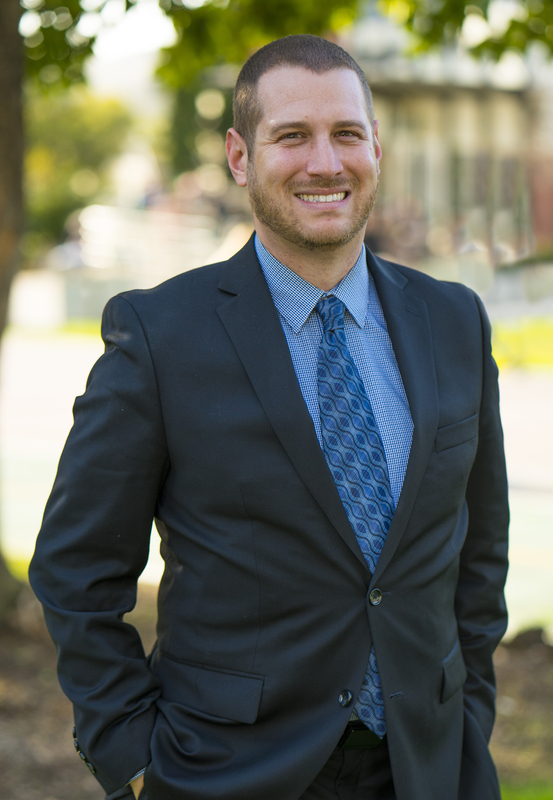 Prior to joining Cal Poly, Kevin served in a variety of roles at Biola University, including most recently as its Assistant Dean of Student Affairs. He also served as an academic counselor, Assistant Director of Admissions, and Director of the Learning Center during his career at the university. Finally, Kevin also worked as a special appointment faculty member for Biola University, as well as a part-time graduate faculty member in the Masters in Higher Education program at California State University, Fullerton. 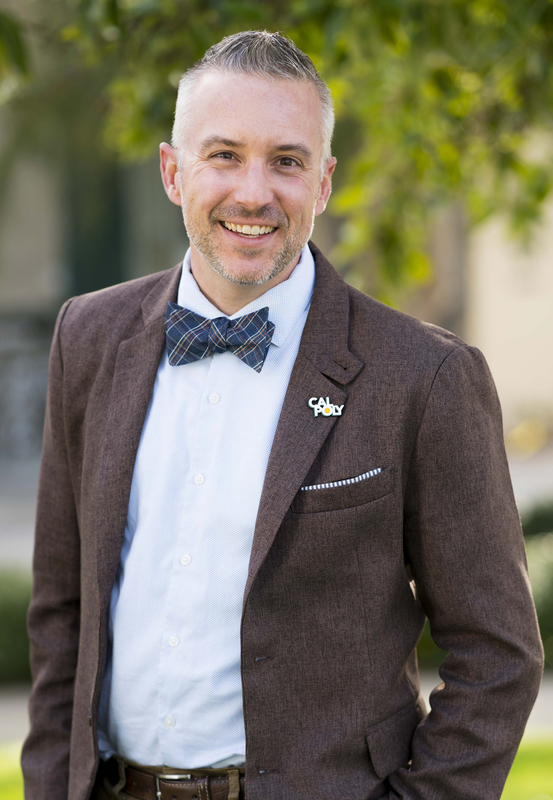 Kevin holds Bachelor of Arts and Doctor of Education degrees from Biola University, as well as a Master of Education degree from Azusa Pacific University. He is an active member of both the Western Associations of Schools & Colleges (WASC) and NASPA – Student Affairs Administrators in Higher Education. He lives in Atascadero, CA with his wife and three children, and enjoys hiking, camping, playing music, horticulture and coaching local youth sports. Rick Salomon joined Cal Poly in 2008 and was promoted in 2016 to Director of Student Affairs Technology. In his position, Rick plays a key role as the division’s technology advocate; designing, managing and leading teams to deliver systems and services used by the entire university, as well as campus constituents. Rick utilizes his expertise in IT strategy, business process, administration and operations to enhance student success through effective technology collaborations. In 2015, Rick was awarded the Division of Student Affairs’ Chandler Award for Outstanding Service to students and the profession. and leading product teams, infrastructure projects, and technology initiatives with clients ranging from small business to U.S. government agencies, including the Department of Defense, FBI and Department of Homeland Security. Rick obtained his undergraduate and master’s degree in educational leadership and administration from Cal Poly. He lives in San Luis Obispo and enjoys the central coast lifestyle, traveling, camping, and supporting community organizations.